Blaming the Haryana and Central governments of “utter callous insensitivity” for the situation in the state after the verdict on Dera Sacha Sauda chief, the Congress alleged “collusion” by the state’s Manohar Lal Khattar regime with the sect’s supporters. “We have seen utter callous insensitivity from the Haryana and the central governments. This was coupled with obstinacy in the face of the most unprecedented strictures by the High Court. “In any responsible sensitive form of democratic governance, comments, not strictures, of far less severity than we have heard in Haryana, would have led to apologies, resignations and complete unconditional acceptance. 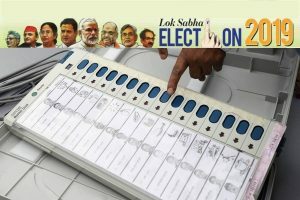 Here it has had the opposite effect,” said Congress spokesperson Abhishek Manu Singhvi. “There is a hardening of positions. There is an increase of arrogance and reaction is on the contrary. They have earned their continuance, not resignation. The words of the High Court are unprecedented. “Not in recent living history or memory, can I recall such clear categorical, unequivocal, unambiguous strictures roping in not only the Chief Minister (Khattar) but commenting on the Prime Minister (Narendra Modi) as well,” he said, adding no other CM or PM in recent history has been so pulled up but are silent. Quoting the High Court observation, he said there was a “collusion charge” but the Chief Minister was not resigning. “The High Court said ‘the Centre in particular should not abdicate or avoid its responsibility’. The central and state governments have surrendered before the followers of Dera Sacha Sauda for political considerations’. 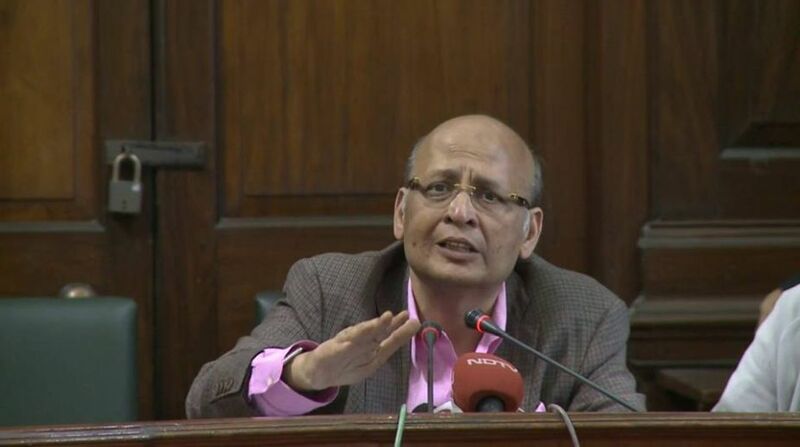 This was a political surrender to allure a vote bank’,” Singhvi said. “This is a collusion charge. But forget the High Court words, the CM is shamelessly not offering his resignation and the central government is not imposing President’s Rule,” he added. “The High Court said ‘national and law order are above everything. We are one nation, not a party nation. It is the Prime Minister of India, not the PM of BJP. It is the CM of the state, not the Chief Minister of the BJP. Satya Pal Jain is Additional Solicitor General of India, not of any party,” he said. On the question of the quantum of sentence to sect chief Gurmeet Ram Rahim, he said he did not think it is necessary to comment on it, as it was “entirely between the accused and the court”.